Warning! 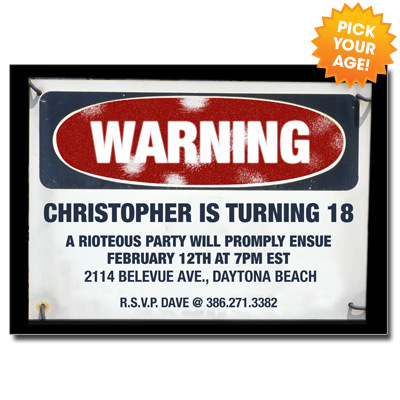 This clever invitation is sure to make a statement. Card measures 5x7.